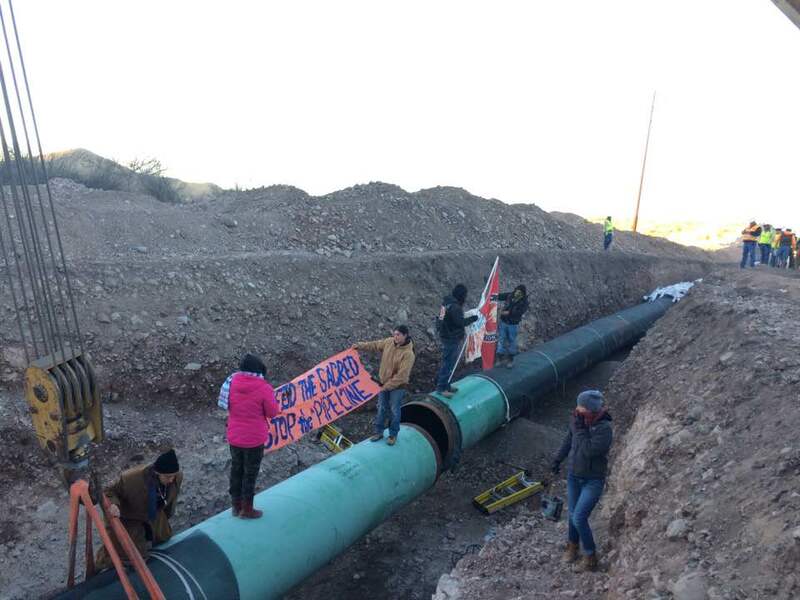 Dozens of self-described water protectors flooded a construction site in Far West Texas this morning, shutting down construction on a high-pressure natural gas pipeline for more than two hours. Members of the Society of Native Nations and Big Bend Defense Coalition, two of several groups fighting the construction of the Trans-Pecos Pipeline, chained themselves beneath an excavator while others ran deeper into the easement and occupied sections of the disjointed pipeline itself. The Trans-Pecos Pipeline is a Texas intrastate pipeline designed to transport 1.4 billion cubic feet per day of clean-burning natural gas as part of an agreement with Comisión Federal de Electricidad, Mexico’s federal electricity commission. As currently planned, the 148-mile pipeline will originate at the Waha Hub outside of Fort Stockton in northern Pecos County where there will be one compressor station providing all necessary horsepower for the entire route. The Trans-Pecos Pipeline will be regulated by the Railroad Commission of Texas with delegated authority by the U.S. Department of Transportation’s Pipeline and Hazardous Materials Safety Administration (PHMSA). 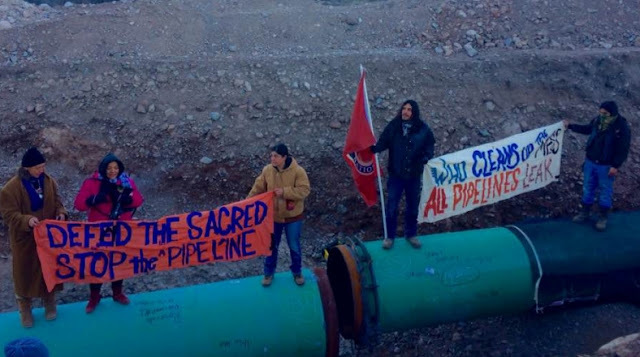 The pipeline is defined as an intrastate pipeline as defined by in Section 2(16) of the Natural Gas Policy Act of 1978 (“NGPA”) and 15 U.S.C. §3301(16). The Federal Energy Regulatory Commission oversees the application for the border crossing permit. 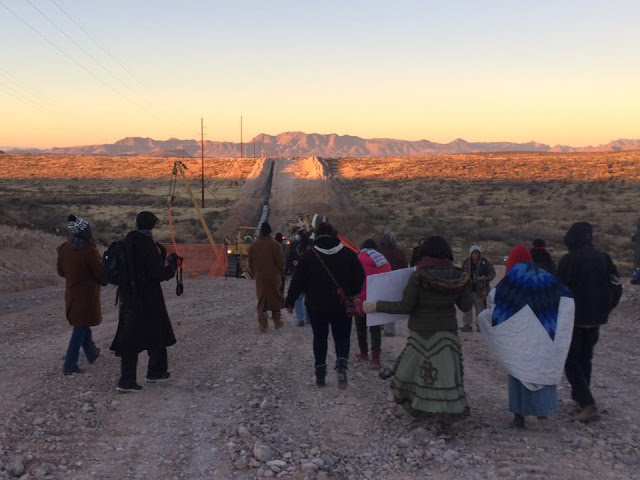 Responses to "Water protectors from across Turtle Island shut down Pipeline in Texas"